ResDiary | Why choose our solution? 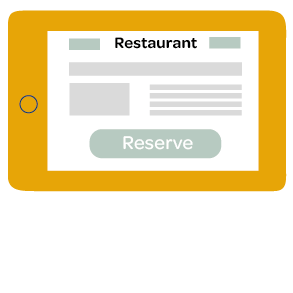 Keep all your reservations in one place White label Protect your revenue Our F&B solutions Our marketing tools The ResDiary expertise Find out more. Retain your independence and your restaurant’s unique identity. You’ll have complete control over your customers’ data, and ResDiary helps you use it to limitless advantage. All post-reservation and pre-arrival emails can be customised with your own branding, images and colours. Control your budget by choosing the fixed-price package that best suits your needs. You can even prioritise direct booking channels. Restaurants by AccorHotels is 100% dedicated to the F&B activity of the group, and will keep you updated with special offers through all AccorHotels support and communication channels. Quickly and efficiently load in your existing customer data. Unlike many other services, we don’t take a commission on bookings. Plus there are no extra charges for adding staff and enabling multiple-device access. We do everything we can to boost your bookings by prioritising direct channels. Rather than losing revenue through third-party sites, you can offer your own incentives with ResDiary’s advanced promotional features. Sell special menus and events for limited periods and promote them through your preferred channels (social media, your own website, e-shots etc). Our platform recalls customer preference and reservation details for future bookings. Detailed reports of customer spending habits mean your team can offer guests a fully personalised service. Our program works autonomously to manage tables and services in real time. 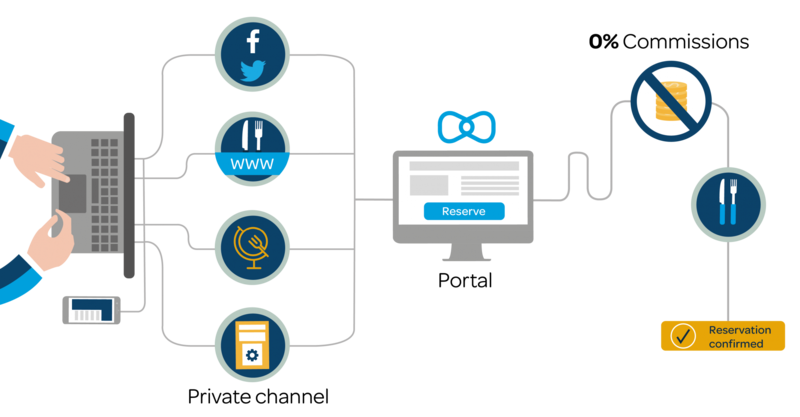 Reservations are accessible 24 hours a day from multiple devices. Keep an eye out for system updates. We’re always working on new ways to improve your customers’ experience. The system is designed to work around you, seamlessly meeting your needs with customisable tools for total control. 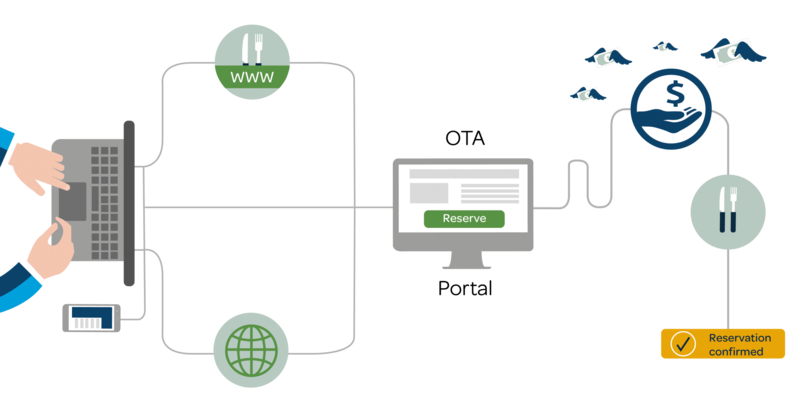 Control reservations and tables flexibly through different services, in real time, across multiple devices. 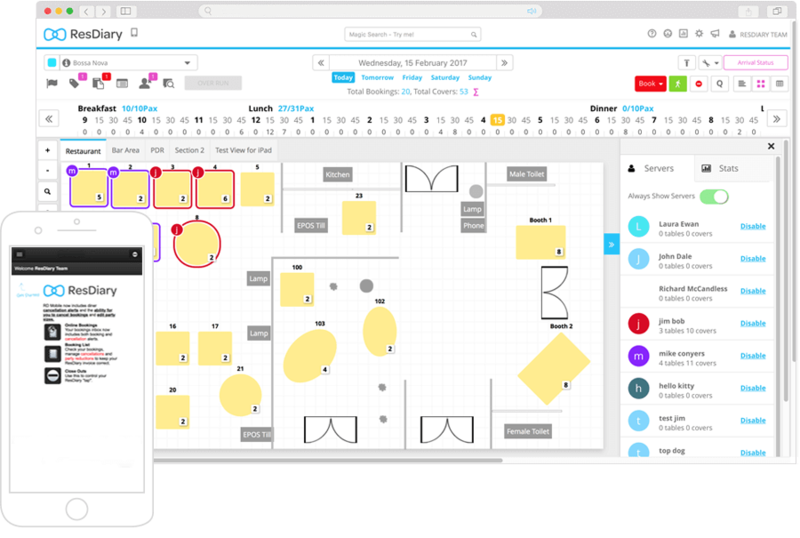 Watch over your tables in grid view, table-plan view or running-order view. ResDiary specialises in yield-management tools, helping you make the most of your restaurant’s resources. It takes into account kitchen capacity and front-of-house capabilities, while improving automatic table allocation to eliminate ‘lost space’ and protecting you against overbooking. How? The system intelligently implements a series of rules whenever a booking is made internally or online. 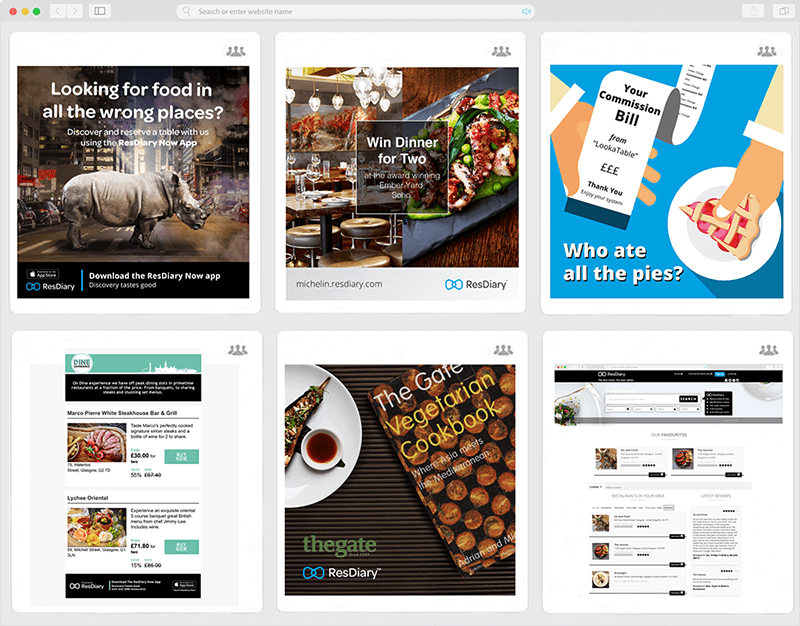 Create your own marketing campaigns to promote your restaurant! With a database rich in customer habits and preferences, you can create targeted email campaigns and provide a fully personalised service. Increase customer loyalty with post-reservation and pre-arrival emails, inviting them to leave reviews and communicating with them directly. Use our intuitive reporting and statistic-generating tools to measure the impact and success of campaigns and promotions. Discover how ResDiary can develop and optimise your day-to-day activities and strengthen customer loyalty. With 7000 restaurants across 57 countries already benefiting from the system, ResDiary helps to manage more than 10.7 million covers every single month. Click the link below and let's start building your diary!